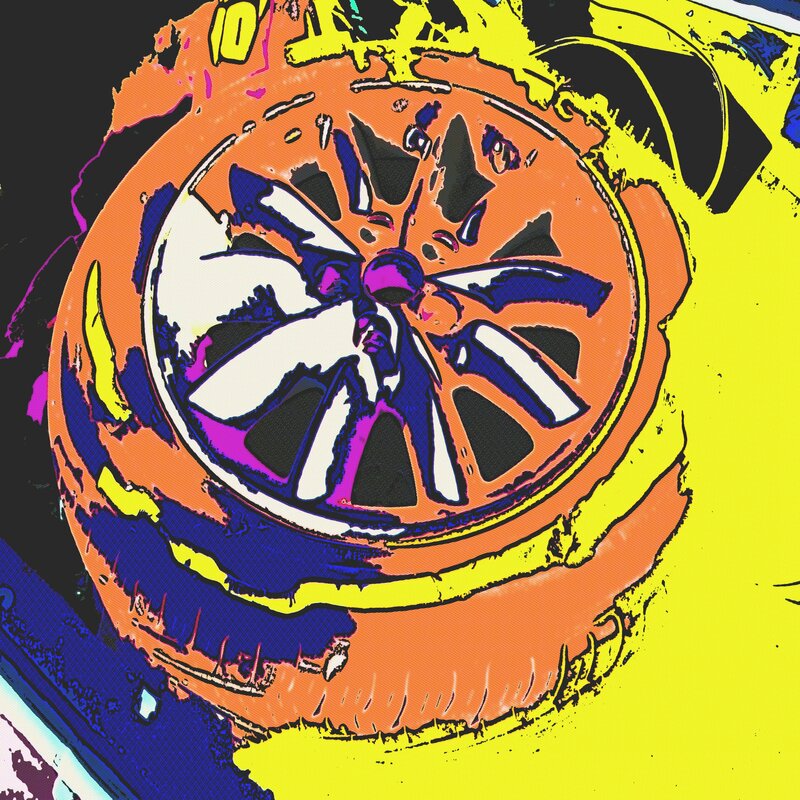 This week’s Monday Morning Art is a digitally-assaulted photograph of the tire on my car that blew out last Thrusday night on I 64, headed toward Charleston. I’d planned to see the excellent CYAC drama HOODS. I didn’t make it that night, but we saw it on Saturday, and it is the must-see show in Charleston right now. You have three more chances to see it this Thursday, Friday and Saturday. Anyway, the tire apparently spontaneously combusted. A broken belt, possibly caused by a curb that leaped in front of my car in the middle of the street earlier in the day, heated up due to friction, and sort of blowed up. Luckily the burning debris shot out in the opposite direction from my just-filled gas tank. 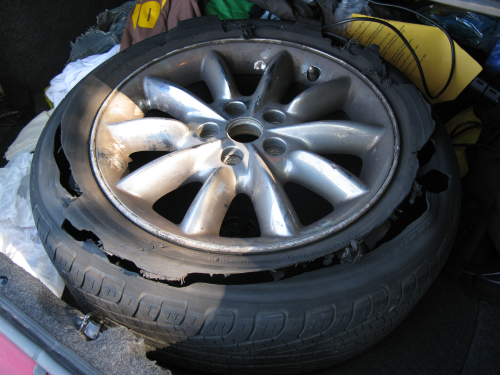 I’d never seen a tire self-destruct quite like that, so I took a photo while I still had it in the trunk. Then I digitally-assaulted it. You can see the original picture after the jump, and click on the artsy one to see a larger version. I put the blame squarely on Porgy, the tirebiter. You were asking for it, they way you were dressed that night.